This soup like dessert is perfect for a summer’s night. It’s creamy and boozy with undertones of lemon. 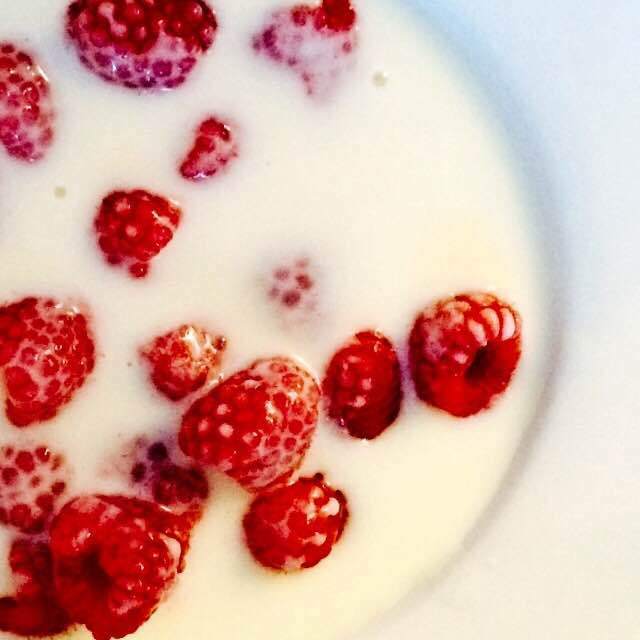 The tart raspberries balance the sweetness and make the perfect bite. Bring to boil the water and sugar to make a simple syrup. Add the zest of one lemon. You can use a potato peeler, it doesn’t need to be grated finely. Let cool and remove lemon peel. In a freezer safe bowl with a lid, add limoncello, simple syrup, sour cream, the juice of the zested lemon, and salt. Mix well and freeze for 4 hours stirring well after 2 hours. If you freeze it overnight it will have an ice cream consistency which is nice too. It will never freeze completely solid because of the liquor which makes it even better.